This Irish cap features an embroidered Guinness label appliquéd on the front. 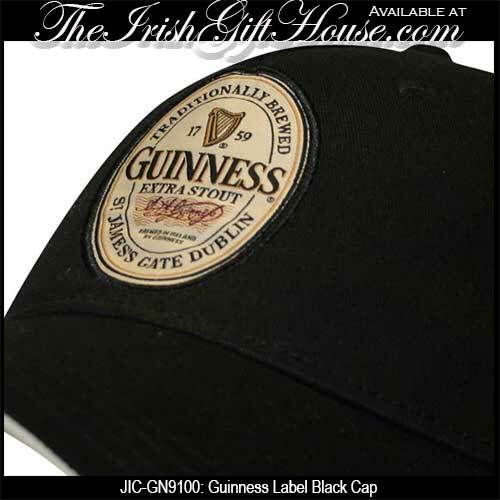 This black Guinness cap is further enhanced with the harp logo and 1759 embroidered on the back. 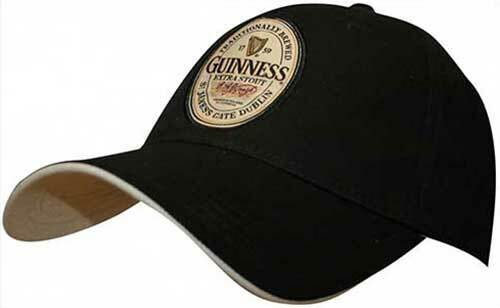 The Guinness hat features an adjustable Velcro strap and will fit most adults.